East London is the centre of the Buffalo City Municipality and home to one of the areas identified by the government for its Industrial Development Zone programme, which is aimed at providing platforms for business and investors to improve global competitiveness. Buffalo City is an attractive centre for import-export business and its strategic location makes it an important investment destination. It is well placed for trade with the rest of Africa as well as with the markets of America, Europe and the Pacific Rim. It is also equidistant from South Africa's major market centres, Johannesburg, Durban and Cape Town. The attraction of East London lies in its low input costs and its excellent infrastructure, including an airport and a port. It is also well connected to the rest of the country by rail and road. 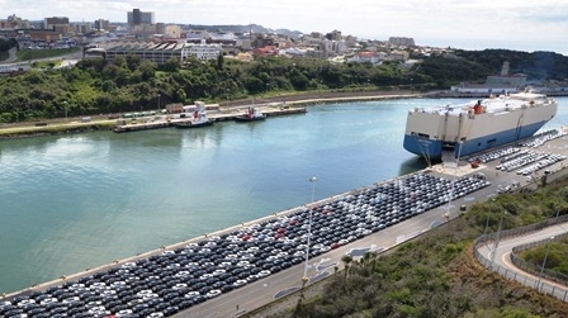 It has a deep-water port, which has spare capacity to deal with future growth. East London is in the Eastern Cape, South Africa's second largest province. Its manufacturing sector is already quite well integrated into the world economy. For example, nearly half of the 120 large-scale manufacturing enterprises in the Eastern Cape are part of international corporations. More than 50% of the large-scale enterprises are exporting more than 25% of their output.